Backlinks play a major role when it comes to SEO as many currently successful businesses discovered. Compared to most SEO techniques, backlinks are one of the quickest and simplest methods of enhancing SEO. Creating banklinks saves a lot of time and money that most businesses spend on making online ads, affiliate programs and other online marketing techniques to influence SEO. Backlinks as the name suggest directs the person towards your website are very important component of the SEO. 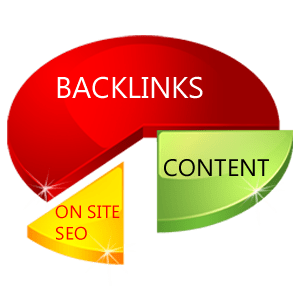 Backlinks also known as inbound links play a very vital role in raking on the search engine, because mostly search engines give importance to websites that have good number of quality backlinks. It is not the number of backlinks that pay but quality also matters, the more links you have from sites that are closely related to yours the better is the quality and vice versa. Search engines evaluate the quality on the basis of content they offer so more related the content is the more is the quality. Quality inbound links help to attract visitors to visit your site. Since influencing the search engine with external backlinks from other websites is lot harder as compared to creating natural links, as they can easily be manipulated, that is why inbound links factor so highly in engine’s algorithm and due to deceitful webmasters the criteria is getting even tougher. However few things must be considered while building back links. Keeping track of the inbound links so that you are aware of which sites are linking back to you is very important and tool that can assist you in this regard is Domain status tool, whereas backline builder tool can help you out with link building. Building quality backlinks is increasingly important to SEO, and due to their importance, so should be given due importance and should it should be high on your priority list in your SEO efforts. Backlinks have been known to positively affect SEO in the following ways. When a business backlinks to other authority websites which obviously have a lot of traffic, the visitors in those popular authority sites will notice the links to other websites and the business will definitely get more traffic on its site thanks to curious visitors from these popular authority sites who will share the links on other online platforms. With more visitors visiting a website thanks to the backlinks, search engines will definitely notice such a site and rank it high on its search pages. With the great web content , and your site backlinked with other equally interesting sites ranking high on search engines, your site will no doubt grow in popularity and more people will want to see what you have to offer since you are associated with a site that has captured their interest. Often times with backlinks, you don’t have to add comments or new posts regularly in order to stay relevant. All you need to do is simply add the backlink profile to the site and wait for your backlinks to grow. You will therefore never have to spend precious time maintaining them; they sustain themselves and will do so for a long time, of course increasing traffic and the rate of conversions in your site. There are more ways in which backlinks influence SEO, but the above ones are some few major ones.